In 2015, after five years, the WWE decided to revive King of the Ring in a two-fold attack. Quarterfinal matches would appear on RAW with the semi-finals and final airing on the WWE Network because why not? The matches were decent and the All-British final was kind of better than expected (thanks Neville). At the end of everything, Wade--I mean Bad News Barrett won, receiving his second gimmick change in about as many years. But, was the win that bad? 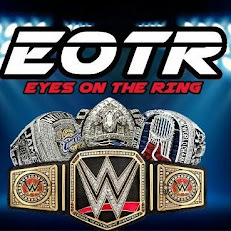 I'm Speed on the Beat and this is a bit different version of WIRTB Review for KOTR Week. To be honest, I had a lot of expectations for "King" Barrett. As BNB, he'd shown potential. He was charismatic and funny. Let's be real with yourselves. When you heard "I'm afraid I've got some bad news," your eyes probably lit up with excitement. On top of that, he became slightly more aggressive. Plus, while still just fundamentally sound over being balls-out amazing in-ring, he managed to not be simply piss break material. So, when King Barrett became a thing, I said "yay. King of the Ring was reborn and it delivered someone who had some potential with yet another shot to prove doubters wrong." And then he started feuding with perennial racial stereotype R-Truth. Essentially, any hope for Barrett taking the KOTR win and making something better out of both the tournament and his own character? It was gone almost as soon as it began. To make matters worse, R-Truth beat King Barrett not too long after the feud started. Yes, Barrett got his win back and he's still King Barrett. But the fact of the matter is this: by placing Barrett in a feud with R-Truth, any sort of push received by the KOTR was negated. Hell, they might as well not had the friggin' thing and just let it sit on the shelf. Granted, KOTR 2015 itself wasn't that bad. But the result of the tourney was. As I said, they might as well've left KOTR on the shelf and...well, I don't know what they could've done with Bad News King Barrett.